With the official reopening of Srinagar – Leh Highway yesterday, Ladakh road trip season has begun and people are now eagerly planning and waiting for their trips to begin. However before you begin your journey to this heavenly abode, here are 5 things to remember while traveling to Ladakh this year, which can make or break your journey. Kalachakra: Kalachakra is one of the holiest events of Buddhism and comes every 4 years. This year it is scheduled to be held in Leh from 3rd to 14th July 2014. During this time, His Holiness, Dalai Lama will be in Ladakh and will teach Buddhist teachings and rituals to tens of thousands of his loyal followers. This means, Leh would be jam packed during this time and finding accommodation and transport, will be extremely difficult. So my suggestion would be to avoid visiting Ladakh during this period, because at the last Kalachakra held in Gaya, over 200,000 devotees turned up. 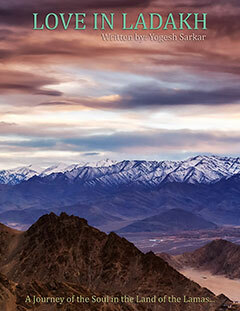 While Ladakh in comparison has seen a maximum of 177,000 tourists in an entire year! If you have to travel during this period, make sure your accommodation as well as transportation is booked well in advance. No Inner Line Permit needed for Indian Nationals: In a welcome move, District Magistrate has made inner line permit redundant for Indian Nationals visiting following places in Ladakh. Now Indian Nationals will only need to show their government issued ID cards at check posts (driving license, voter id card, passport etc.) in order to visit above mentioned places. If you are planning to visit areas like Chushul, Hanle etc. you will still require Inner Line Permit, while foreigners, NRIs, PIO and OCI card holders will still require Protected Area Permit for even the above mentioned places. Old vehicles no longer allowed to cross Rohtang Jot: In a recent order by the green tribunal, vehicles which are older than 10 years, will no longer be allowed to visit Rohtang Jot from Manali side. So if like me, you too own an old motorcycle or car, you now must take Srinagar, Spiti or Sach Pass route to Ladakh. At least as per now, there are no plans to stop old vehicles coming from Leh and Spiti side, so you can hopefully continue to do Leh – Manali route, but will no longer be able to do Manali – Leh. Chushul Permit still remains elusive: Inner Line Permit for places like Chushul and Hanle continue to remain elusive and with Kalachakra to be held in July and China’s aggressive posturing, it is unlikely that things will change for better in the coming days. 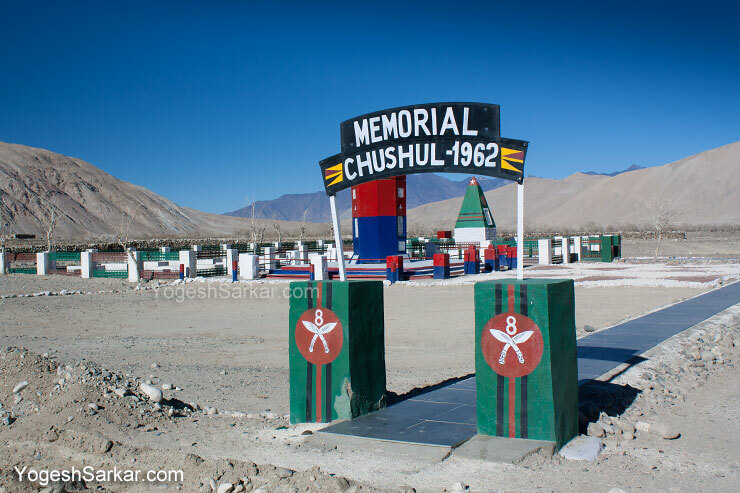 In fact even if you have the permit for Chushul route, you can still be turned back by Army and ITBP, based on ground situation. So for many of those planning to explore Changthang Region, this year too will likely prove to be a disappointing one. New Green Tax for crossing Rohtang Jot: A new Rs. 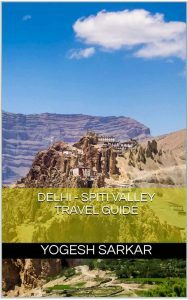 20 per person, green tax has also been imposed on those traveling to Rohtang Jot, Spiti, Lahaul and Pangi Valley. It is applicable on everyone (irrespective of mode of transport and whether local or traveler) and is over and above the green tax you currently pay to enter Manali (which is levied on vehicles). Vital information thanks a ton friend. Go via Srinagar route and come back via Manali. Since Manali route will be in far worse shape than Srinagar route, early in the season. Having said that, both routes will be quite bad, though in case of Sriangar – Leh Highway, bad section is concentrated around Zoji La. Rajiv, you do not need passport. You just need any government issued ID card eg. driving license, PAN, voter id card etc. to prove your identity while staying in hotels and while registering at check posts en route. i trust rigzin 100% but still what will happen to us if he fails to deliver in any or both of above ? If he has got the booking done, then there shouldn’t be any issue. If he fails to deliver in this regards, then it will be a major headache. But then again, taxi drivers usually have good contacts, so he should be able to arrange something, if this booking fails. As for permit, it is an hour long job at most (usually 15 minutes if ADC is in office and free). So no major headache as such, however permit is no guarantee that you will be allowed to travel beyond Chushul. It depends on the ground situation, which would be a little tense when Dalai Lama is in Leh.